Need a Shower Trailer? No Problem! 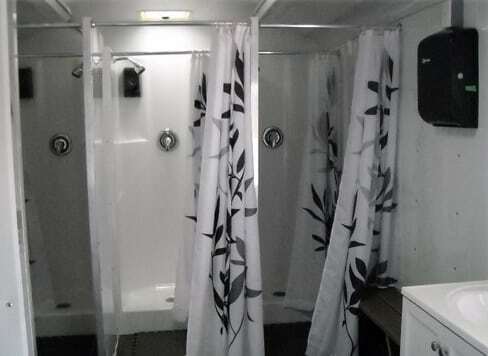 We Have Many Shower Trailers to choose from. As shown below, three areas provide a total of 11 or 13 Showers (We offer both) each with private dressing areas. Two areas feature 5 or 6 Showers with dressing areas, 2 vanities and sinks and a single room at the rear of the shower trailer provides a large shower, vanity and sink.